I was unpacking groceries here in our Cagayan home when my mom told me a story about our newly-hired employee. I thought it is worth sharing and will make us appreciate more the blessings we receive. Our new employee is in his late 30s, married and has 4 children- the youngest is only 3 years old, the eldest is 12. His wife works only during weekends, when the eldest is not in school and can take care of the youngest sibling. One afternoon when my mom closed our store, the employee asked her if he can get a small plastic bag. My mom gave him one and curiously asked what he is going to do with it. He said he didn't finish his lunch which my mom provided, and would want to take it home for his children to eat. My mom's not yet done with the story but I could already feel tears flowing down my cheeks. She added that few days ago, he saw my mom in the kitchen slicing ham. He asked in Ilokano if it is what people refer to as "ham". By this time I was really crying. I grabbed a bag and packed the groceries I was setting aside. I was still in the kitchen with my mom when I saw him heading out, about to leave after closing the store. I called him and handed him the bag. I told him to bring it home to his family for their noche buena. He said thank you and started crying. He wiped his tears with his shirt, thanked me again and greeted me merry Christmas. I was so moved I could barely talk. To me it was just a bag of groceries, but to him, it meant the world. I suddenly felt so ashamed of myself for wanting so many things in life, when others just want food on the table, to make both ends meet, to see their children's happy faces. May the love of Christ be more than enough to fill the empty spaces of our hearts. Let us share our blessings and make people happy this holiday season. 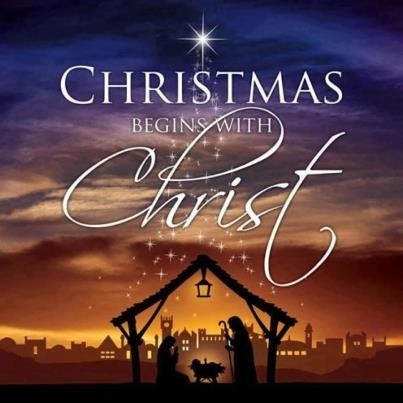 Wishing you all a blessed Christmas!